ROAD TRIP!!!!!! These are probably two of the best words in a guy’s vocabulary along with “more beer” and “pizza’s here” (OK, there are more but this is a family oriented website). careful what you ask for”. 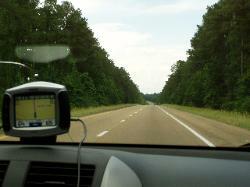 So the planning for the trip began along with a little help from the Garmin GPS software; OK, so a lot of help. Execution: Stay ON the curvy roads! AND there will be NO crying for your Mama! many years ago so it was going to be like a home coming .... of sorts. We will get to see if we remember how to go around a corner! stayed in; finding a hotel in those towns was another issue. My Zumo 550 is about to be put to the test! (with U-haul there's always another story). BTW there is nothing more entertaining (on a long trip it doesn't take much to be entertaining!) 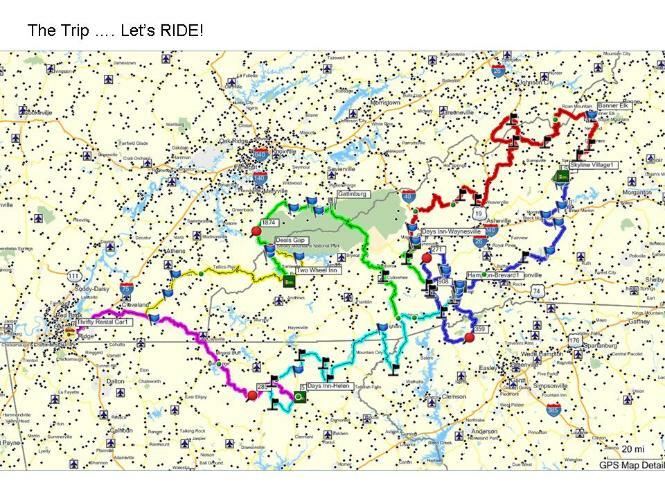 than hearing the GPS say "Turn right in 123 miles"
Here are our routes through the mountains by the different days.